There is nothing better that getting what you want for the holidays. For those wanting to open a great bottle of whisky from under the tree here is a great list of whiskeys for your friends or even yourself. In George Dickel No. 12, you’re getting a quality whisky at a great price. Winner of the “Best Tennessee Whisky” award at the 2015 San Francisco World Spirits Competition, George Dickel No. 12 is widely considered the quintessential Tennessee whisky. If you’re looking for an affordable whisky for a family member or friend with an affinity for Tennessee whisky, you can’t go wrong with George Dickel No. 12. The Tennessee Cider, shown below, is the perfect cocktail for a holiday get-together. I.W. Harper Kentucky Straight Bourbon Whiskey is a classic American whiskey for those that appreciate a rich history, with a modern mentality. For over a century, I.W. Harper’s iconic bowing man has been an embodiment of the brand’s sophisticated image. Know any well-dressed folks who enjoy a nice cocktail? Treat them to a bottle of I.W. Harper and let them sip in style. Aged in a select number of charred American white oak barrels, Bulleit 10-Year-Old immediately made its presence felt within the spirits industry upon launching in 2013, scoring a 92 out of 100 and earning a Gold Medal, amongst other accolades at the 2013 Ultimate Spirits Challenge. It also won Gold at the 2013 San Francisco World Spirits Competition. 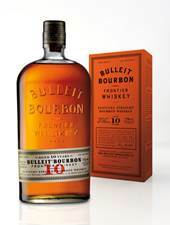 Grab a bottle of Bulleit 10 and share the smooth, smoky bourbon with the folks at your upcoming company holiday party. Winner of a gold medal at the 2015 San Francisco World Spirits Competition, Blade and Bow Kentucky Straight Bourbon Whiskey is a luxury spirit best reserved for, say, your boss, or someone who can truly appreciate a fine glass of whiskey. Born from the oldest remaining whiskey stocks to be distilled at Stitzel-Weller Distillery, Blade and Bow is best enjoyed neat. If there’s a whiskey enthusiast in your life, Blade and Bow makes a great gift. Give your friends and family a taste of Hollywood this holiday season in, The Hilhaven Lodge, a whiskey created in collaboration with esteemed movie director Brett Ratner. The Hilhaven Lodge, named after Ratner’s Beverly Hills estate, consists of a unique blend of bourbon, Tennessee whisky and rye whiskey. Modeled after the Lodge itself, The Hilhaven Lodge bottle is timeless, well-appointed and discrete. Pick up a bottle and drink like a star this winter. Straight from the celebrated LaSalle Distillery, Crown Royal XR is a limited-release whisky well worth its price tag. 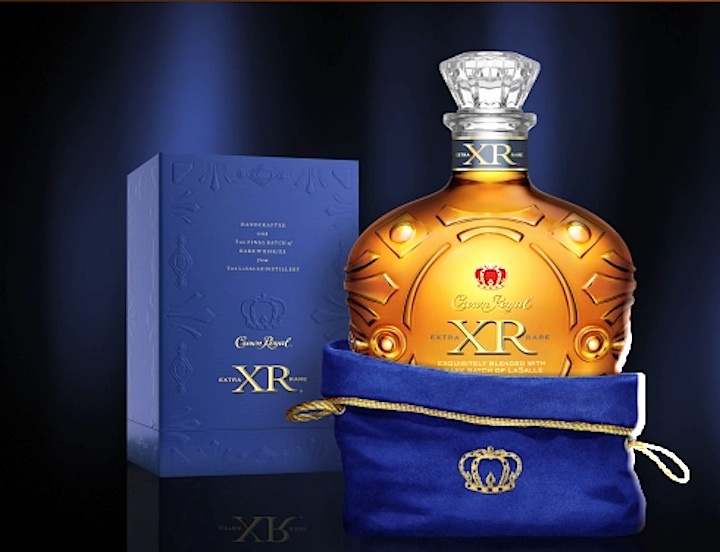 Crown Royal XR is made up of an interesting blend of dried fruits and honey, with spicy notes of Canadian rye. Now’s your chance to splurge on the rare, limited-release variant and treat yourself – or someone special – to this exquisite whisky as you celebrate the end of the year. Print article This entry was posted by Art Eddy III on November 17, 2016 at 5:08 pm, and is filed under Lifestyle. Follow any responses to this post through RSS 2.0. Both comments and pings are currently closed.